All of our thick Piyo Piyo wipes are made while thinking of the little ones and their protection. 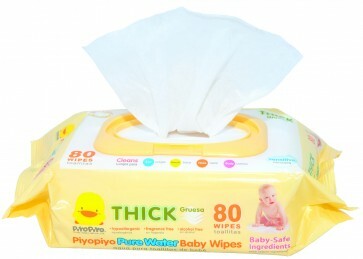 All wipes are hypoallergenic, parabens, SLES, dyes, fragrance free and alcohol free. Baby Wipes Travel Pack also available.